All Rings available on our website are made by ourselves, the elements included in the rings are made of 925 silver. For pasting pearls, which we have previously drilled using the best available on the Polish market of jewelry glue. We have a large selection of natural, freshwater pearls of various diameters, a wide range of colors and shapes. We also make custom products according to the client's wishes and his own design. A classic silver ring with a real freshwater pearl. Perfect for every day as well as for special occ..
Silver ring with three real freshwater pearls. The ring has a regulation thanks to which you can get..
Silver ring with two real freshwater pearls. 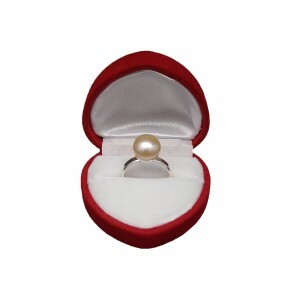 The ring has a regulation that allows you to get any si..
Ring with a white freshwater pearl with a beautiful shape. The non-classical shape of the ring makes..